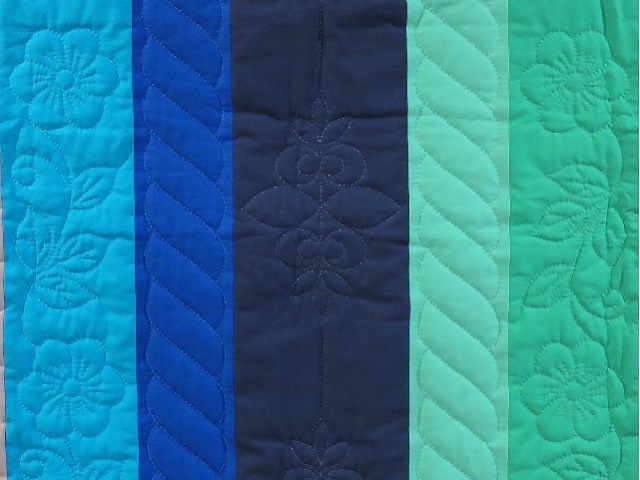 Wonderful colors of teal, blue, green and gray. 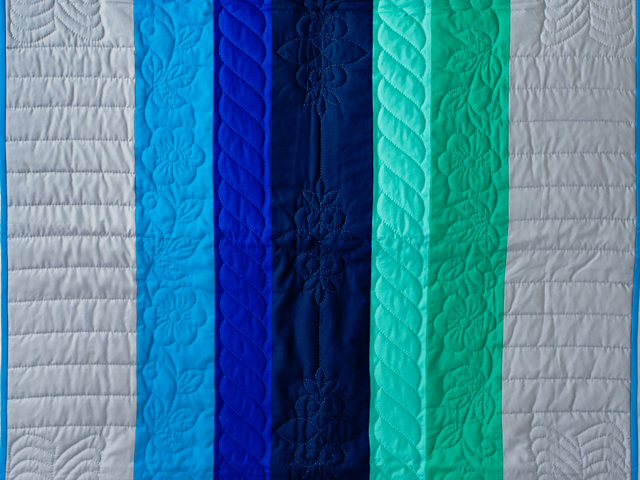 A wonderful pattern made to showcase lovely hand quilting. 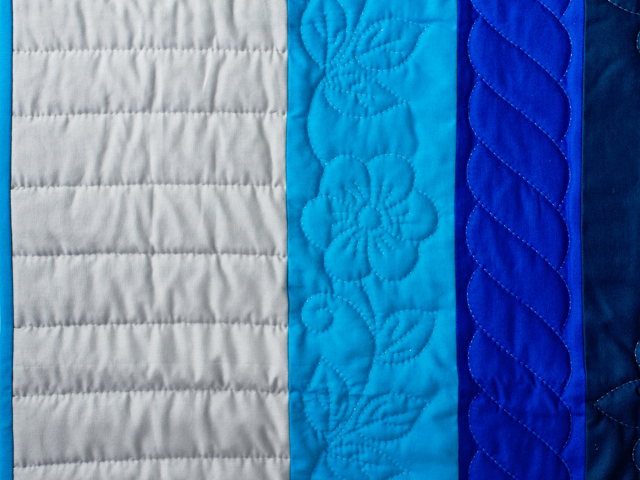 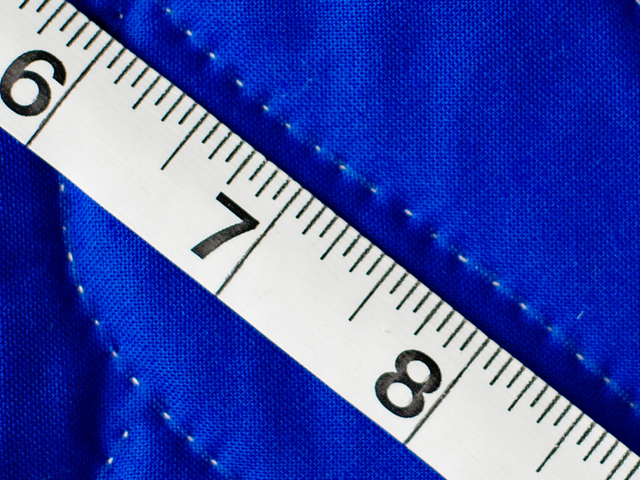 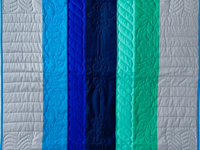 The hand quilting on this quilt is very fine and even. 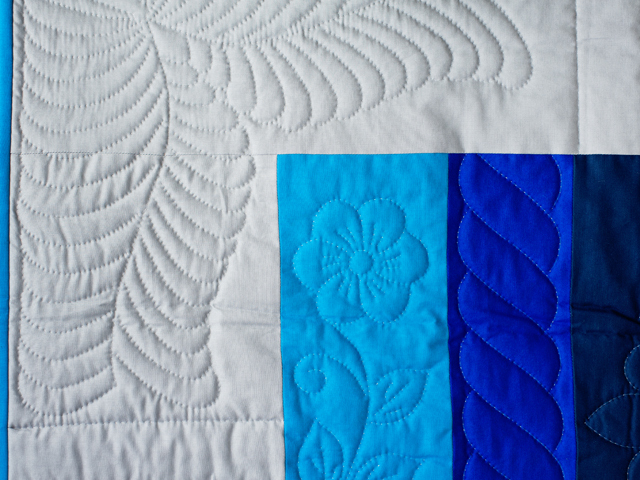 Lots of great hand quilted designs on display here. 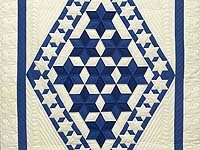 Well made by Pennsylvania Mennonite quilt maker, Connie Lapp. 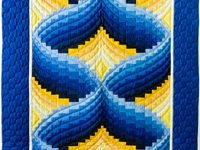 Hand quilted by a friend. 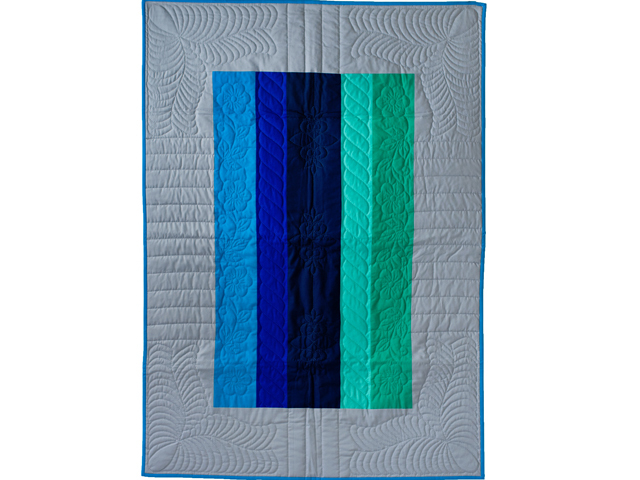 The back of the quilt is covered with the same gray fabric as used on the front. 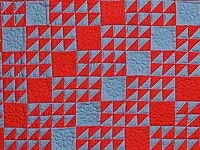 Would make a great crib quilt or wall hanging.